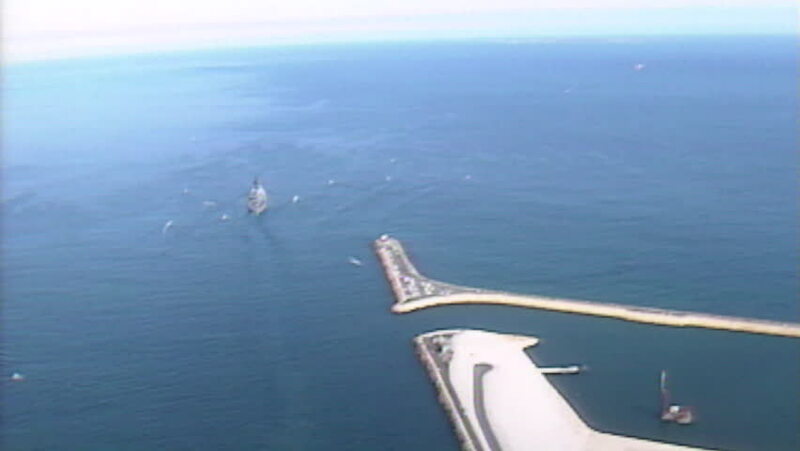 Archive 1991 USS Missouri leaving Fremantle Harbour ariel wide shot from stern. hd00:10A guy is kitesurfing in the pacific ocean of bora bora. The scene is filmed from a boat and the kitesurfer is in the background. hd00:19JUNEAU, ALASKA-AUGUST 2016: View of airline wing at full flap with vapor trails streaming from the flaps on cloudy day as the aircraft passes over boats in the channel on approach to Juneau, Alaska.